Hey, didn’t win the record setting Mega Millions over half a billion dollar jackpot?? Me neither. Here are a few reasons why that might have been a good thing. Anyone who plays the lotto fantasizes about how things would change and what they would do with their winnings. Ranging from disappearing to a tropical island to starting a business to donating to the poor, peoples’ imaginations run wild with possibility. However it seems more often than not the reality is much harsher than they could have known. Imagine hitting the lotto once, better yet, imagine hitting it twice like NJ’s Evelyn Adams did in the 80’s. With two wins totaling $5.4 million, Evelyn blew it all on handouts to friends and family and a gambling addiction. Eventually she ended up living in a trailer park and working two jobs just to make ends meet. 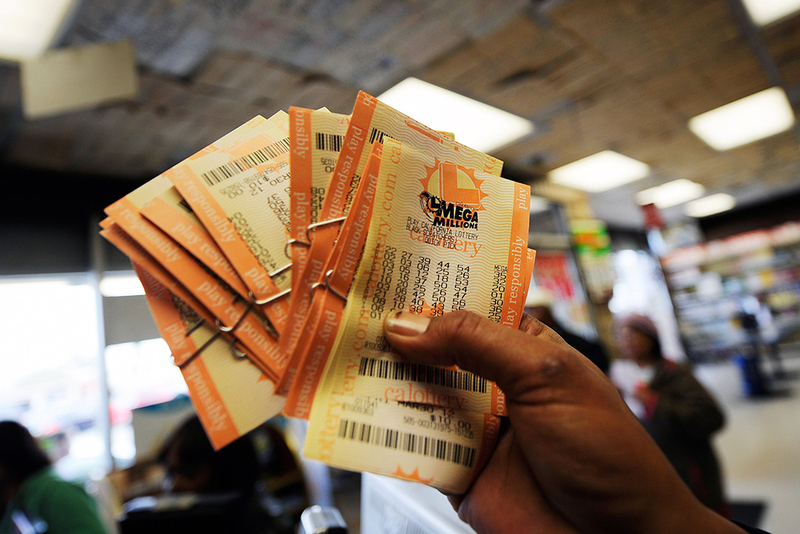 Then there is the story of Jeffrey Dampier, an Illinois man who won $20 million in 1996. A generous Dampier showered friends and family with cash and gifts, but some people in his circle didn’t feel it was enough as his sister-in-law and her boyfriend ended up kidnapping and murdering him in hopes that she would inherit the wealth upon his death. They both were convicted and received life in prison. Perhaps the most well-known lotto horror tale is that of $315 million dollar Powerball winner Jack Whittaker. Whittaker who at the time ran a successful construction company had nothing but good intentions on what to do with his then largest single-payout in history. He claimed in a 2007 interview that he wanted to build churches and feed the hungry and he did just that. Within months of hitting the number he donated $15 million towards the construction of 2 churches and ended up doling out $50 million to those who simply asked in the form of houses and just plain old cash. The thing about good intentions is the road to hell is paved with them. Soon Mr. Whittaker discovered that he didn’t take into account the depth of human greed. Everyone had a hand out and wanted something for nothing, some even took it by force as he was robbed multiple times ranging from $85k and an ostrich skin jacket to Half a million. Worst of all was his generosity with his granddaughter inadvertently lead her down a path of drug addiction and eventually death only to be followed by losing his daughter in a similar fashion months later. He said numerous times he just wished he tore that ticket up. So there you have it, 3 stories of hundreds of lotto winners whose lives were ruined by winning. That being said if any current winners are having second thoughts about this new influx of wealth feel free to shoot an email over this way as I’d carry the burden of being rich for any of my readers… and I mean that from my heart.